When it comes to expert foundation repair services, Ellicott City, Maryland, homeowners know to put their trust in the pros at Allmaster Home Services. Since 1987, we have set ourselves apart from the competition by providing top-notch home improvement solutions performed by an elite team of industry experts. And, rather than offering you a cookie-cutter solution to your foundation needs, we take the time to thoroughly inspect your residence and come up with a unique plan that is formulated to your specific situation. When you first contact Allmaster for your foundation repair needs, we will begin by scheduling a complimentary in-home inspection where we will identify the problems you are having and offer a unique solution based on what our experts believe will best address your particular foundation issues. The work we can perform on your home is all-encompassing and can include the installation of steel I-beams, carbon fiber straps, full wall replacements, underpins, and more. 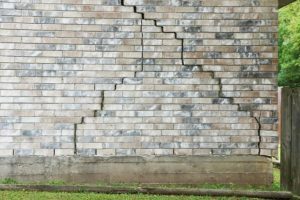 To learn more about the foundation repair services we provide for residents in and around Ellicott City, MD, contact Allmaster Home Services today.